From the folky shuffle of Peter Tork’s “Little Girl” to the wistfulness of Michael Nesmith’s “I Know What I Know” to the inherent cheerfulness of Micky Dolenz and Schlesinger’s “I Was There (and I’m Told I Had a Good Time),” Good Times! is the perfect soundtrack to accompany the band’s 50th anniversary celebrations this year, which also include having the TV show appear for the first time on Blu-ray (The Monkees: The Complete Series collection, available only at www.monkees.com) and a tour featuring Dolenz and Tork (and sometimes Nesmith, schedule permitting). Recently, I sat down with Nesmith, 74 (with arms crossed and legs splayed out in the above photo), in New York to discuss his songwriting influences, his sonic goals for his Good Times! contributions, and The Monkees’ enduring legacy. Mike Mettler soundandvision: You’ve mentioned that you listened to Cole Porter and Johnny Mercer when you were growing up. Would you also consider them to be some of your earliest songwriting influences? Michael Nesmith: Oh yeah. I was exposed to a lot of different music growing up. There was an organist who played in a music store and you could hear him on the street, and there was an organist who played in the cafeteria. The Hammond organ was the sort of cocktail piano of its day. They would play things like “Tico Tico” — songs that had become standards by then. That had a big influence on me. There was a lot of country music and a lot of blues music that were just as important, but it all melted together in an odd way in my head. It was a strange amalgam that got in there, and just never left. I can’t play it exactly — but if I hear it, I’m drawn to it. Mettler: Is there one album you listened to growing up that sticks with you as the “lightbulb” record that turned you onto wanting to make your own music? Nesmith: No, there were several that, because they were from such different genres, were big in their effect on me. Of course, the Chuck Berry records were hugely influential, but in an odd way, Henry Mancini was also a big influence on me, especially the Peter Gunn TV series (1958–61), and what he did on that TV show. And I got a lot of play out of some of the big-band schmaltz stuff that started to happen during that time. Mettler: Is it easy to quantify a “favorite” Beatles record? Nesmith: There are a few of the early things that stand out — “Lady Madonna” (1968) and “Paperback Writer” (1966). But the whole collection — there’s nothing of theirs that I stop playing once I start playing it. I play it all the way through. Mettler: Does mono or stereo matter to you at all? Nesmith: Not particularly. I do like the idea of, “Oh look, there’s a guitar in the left speaker, and the bass is in the right speaker.” But it doesn’t make the music “better” for me. Mettler: What do you think of the vinyl revival that’s been going on of late? Nesmith: I’m just not a vinyl guy. I don’t get it. When I started making records, professional records, it was 3-track Ampex: left-right-center, and twist your knobs on the board. It was highly analog. Everything was in real time, so you had the noise floor continuously with you. And the noise floor went up depending on the quality of the vinyl, the way it was cut, how hot you mastered it, and all the other stuff that went along with it. When digital came along, I breathed a sigh of relief. Mettler: Did you feel digital gave you more options in the studio? I’ve still got to learn my way through the benefits of hi-res. I do think it’s true that I will, at a certain point, think, “Ohhhh, I see the difference now.” But so far, I’m not there. Mettler: David Crosby and I have talked about how you can hear things like the overtones — the spaces between the notes — when listening to hi-res music. Nesmith: Yeah, he’s right. You do. They exist in a very delicate and fragile register. You can’t really hear it unless you have something that supports those higher registers. Mettler: Is there anything from The Monkees catalog you’d like to hear in hi-res? Nesmith: You’re only going to get this music back to its multitracks, and it’s not going to get any better than that. If you start to pump it up, you’re going to start introducing artifacts, and then you get something else. I know how these albums sounded. They were mixed on Altec Lansings, the old [Super Duplex] 604E’s. That’s as good as it’s going to get. The best way to hear them is to get a set of 604E’s in your living room, get a nice McIntosh amp and preamp, and a really good stylus and turntable, and then you’ll get it as close to that original tape as you can. Mettler: Being a video pioneer yourself, if you don’t mind me calling you that [see 1981’s Elephant Parts, for starters], you must be excited about the Blu-ray collection of the TV show. Nesmith: I am interested to see it, and see what the enhanced video looks like. I’m definitely down for getting things in high resolution and as close to the original as possible. You figure it’s a step up from this [points to the 2003 six-disc DVD box set collector’s edition of Season 1 on the table]. Mettler: Oh yeah, I think so. The bright and broad color palette of the show and the spatial relationships between you guys when you’re interacting onscreen all come across much clearer. We should also talk about Good Times!, the new Monkees album. One of the songs you have on there is called “I Know What I Know,” which carries a certain weight to it. Mettler: Were those actual strings on that track? Nesmith: Oh, no. That’s one of the first synthesizer string machines, called the chamberlain. That’s why Adam used it — it had a real retro sound to it. Mettler: In general, the whole record sounds like it could have come out back in the day, which had to be part of the plan. Nesmith: Yeah, Adam carefully worked on that, even on “Birth of an Accidental Hipster” [a Good Times! song co-written by Paul Weller and Noel Gallagher]. He went out of his way to make it sound more... (pauses) timeless. Mettler: What guitars did you play on the album? Nesmith: I played my Martin 12-string, which has a pickup and a microphone in it. And I played a lot of stuff capo’ed way up the neck, so I’ve got it a couple of octaves high. A lot of the “jangle” you hear is coming from that guitar. But the main lines are played by Mike Viola. Mettler: Now that the TV show is on Blu-ray, we’ll get to see you play that 12-string blonde Gretsch [also known as Model 6076] in high-def. How pristine was that guitar kept? Nesmith: It was a “picture” guitar; it didn’t play very well. But it got stolen; it’s gone. Mettler: How did that guitar get in your hands for the show? Nesmith: Well, I started played 12-string as a singer/songwriter. That’s what I played on my own. But when they said, “What do you want to play on the show?” I said, “Well, I want to play a 12-string.” They said, “Gretsch will give you instruments.” I said, “Oh, that’s great. Do they make a 12-string?” “No.” “Oh. Would they make me one?” And they said, “Yeah, they will.” And that’s how I got it. Mettler: It’s a shame it got stolen. Nesmith: Yeah, I don’t know where it is. You’d think somebody would get caught with it at some point, you know? Mettler: People will be even more on the lookout for it now, I bet. Did you ever think you’d be talking about all this 50 years later? Nesmith: (chuckles) I had kind of a sense that it would persist, yeah. I didn’t know it would be 50 years later, but I had a sense that, as long as I’m around, I’d be talking about it for sure. It may be that, after I’m gone, somebody else is going to pick it up [points at The Monkees’ Classic Album Collection vinyl box set] and say, “You see this thing? What’s going on with this?” I hope there’s enough historical record left to talk people through this whole thing. Mettler: Oh, I think there’s plenty left to discuss. Coming from a folk background, were you surprised a song of yours like “Papa Gene’s Blues” made the cut for a pop-driven album like The Monkees (1966)? Nesmith: Well, no; it made sense to do it. I would have been surprised if they hadn’t. Mettler: I also think it’s nice that “Tapioca Tundra” [from 1968’s The Birds, The Bees & The Monkees] has a continuing life to it. Nesmith: Yeah, me too! That was one of those songs that you never know where it’s going to end up. Mettler: It’s very folky, and has a Byrds-like feel in some of its passages. And it still seems to be a fan favorite today, is that fair to say? Nesmith: It is fair to say, yes. It was always kind of an odd piece to me, and I was surprised that it was as accepted as it was. I thought it would be too offbeat, but actually, people seem to think of it as right in the center of the lexicon, the overall collection, so that’s fine with me. Mettler: Why do you feel Monkees music endures to this day? 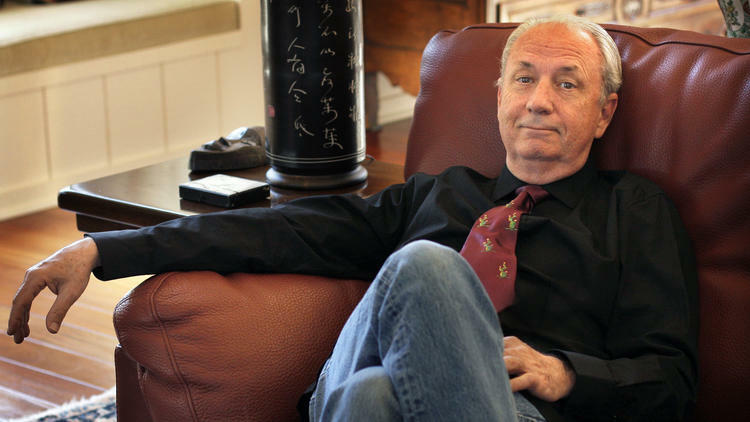 Nesmith: Well, the real answer is, “I don’t know.” It’s obviously plugged into something that’s very deep. People who come to it at an early age get impressed by it in a way you wouldn’t if you discovered it when you’re older. But it certainly speaks to a kind of innocence, something that does endure. Those are spiritual qualities that don’t go away. You may lose your innocence, but you don’t lose your sense of innocence, is what that means. It’s a nice thing to revisit. But like I said before I started this answer, I don’t know. You’d have to ask deep Monkees fans what they think of it and why they think it lasts. My guess is, for every single fan, you’ll get a different answer. Always love to hear from Papa Nez. Cool hearing him talk about the Beatles and the differences in sound quality between vinyl and digital. And that chamberlin certainly creates an interesting sound on 'I Know What I Know'.